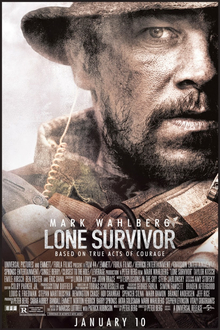 For the most part, this is a brutal, gritty tale of a special ops mission gone awry. The sequences once the soldiers operation is compromised are extremely well done, and really tough to watch. You can literally feel every bullet, every bone crack and the pain of every stumble, as they try to escape from the men they were supposed to be hunting. The disappointing aspect of the film comes in a more ‘action film’ style showdown in the small village towards the end (which I believe was true to life, so yeah fair enough), and some of the downright nauseating displays of patriotism on show, notably the ridiculous scene before the credits going through photos of fallen soldiers. I don’t have a problem with this per se, but it just felt a little too much. Doesn’t detract from what was an excellent film for the most part, with strong performances, excellent direction and a terrific use of sound effects.